For over 25 years now, ElringKlinger has been giving vocational high school (“Realschule”) students the chance to gain a real-life insight into our day-to-day business through “BORS” career orientation work placements. Do you enjoy metalwork and are you interested in technology? Or are you more of an “organized type” with a talent for admin? Whether you join us on a BORS placement or as a voluntary intern, you can have the chance to see what an apprenticeship at ElringKlinger would be like. As a placement student or intern with us, you’ll gain a valuable insight into the type of work carried out in different areas of our business. This might well help you to decide on the type of apprenticeship you want to pursue. So if you’re a Realschule student (or equivalent) interested in a placement at ElringKlinger, we’d love to hear from you. Simply fill out the online application form. The “BOGY” career orientation program for academic high school (“Gymnasium”) students is another well-established option at ElringKlinger. For a number of years now, students taking part in this scheme have enjoyed the opportunity to see how things are done within our global company. Do you think you might be interested in our technical study routes? Or do you fancy being involved in commercial activities in our business? 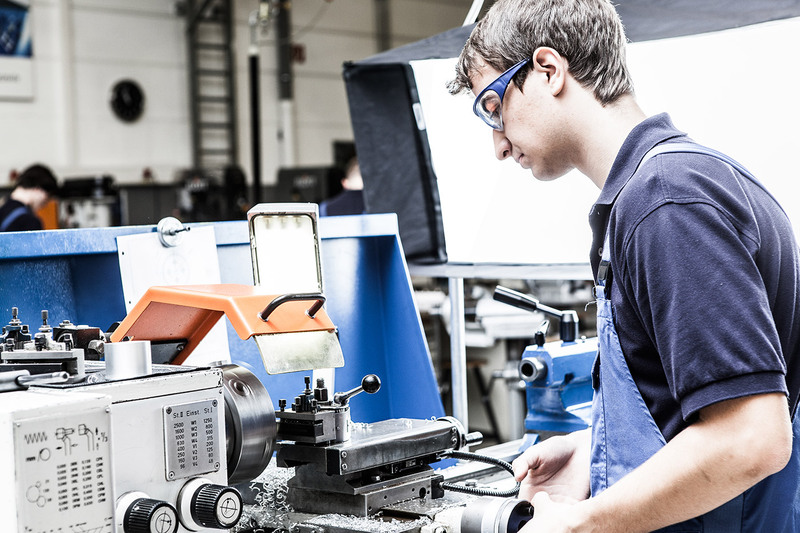 Whether you join us on a BOGY placement or as a voluntary intern, you can have the chance to see what an apprenticeship or study program at ElringKlinger would be like. As a placement student or intern with us, you’ll gain a valuable insight into the type of work carried out in different areas of our business. This might well help you to decide on the type of apprenticeship or course of study that you want to pursue. So if you’re a Gymnasium student (or equivalent) interested in a placement at ElringKlinger, we’d love to hear from you. Simply fill out the online application form.